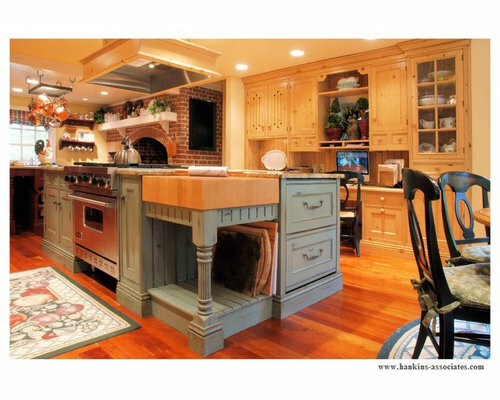 Olde World English pine kitchen with waxed pine cupboards around the perimeter in the main kitchen area with a green (distressed) painted island. 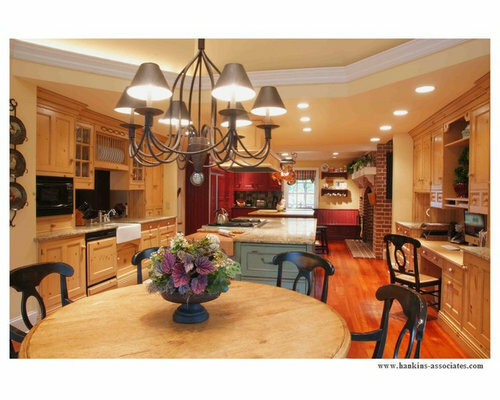 Island features 36” Viking range and a 4” thick Boos butcher block top. 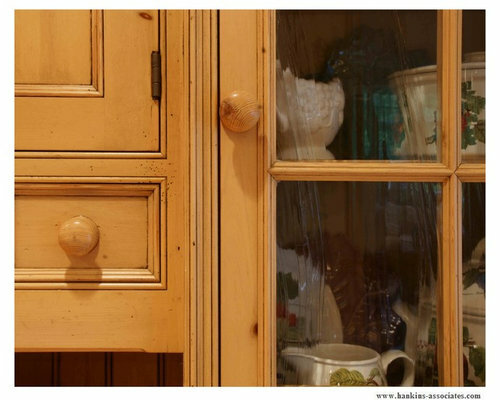 Olde World English pine kitchen. 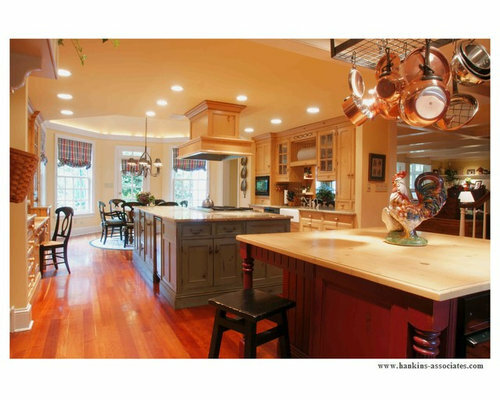 Kitchen divided into two areas. 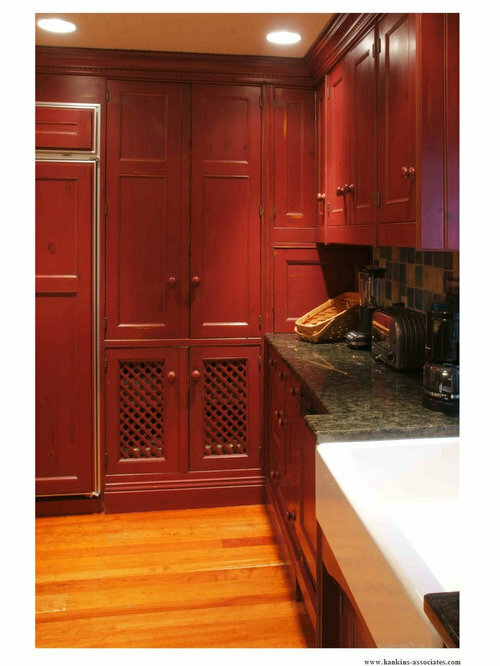 This area featured red painted cabinets. 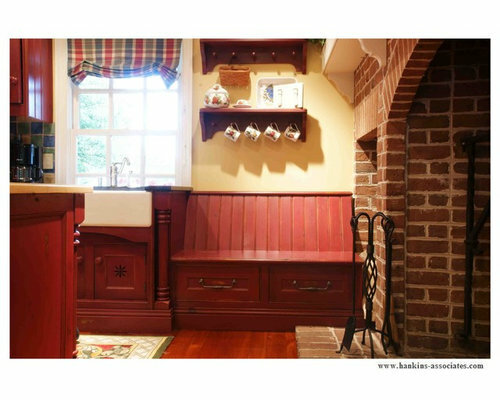 This photo features the second farm sink and a bench seat near an existing fireplace and wood box. Olde World English pine kitchen with waxed pine cupboards around the perimeter in the main kitchen area with a green (distressed) painted island. This image is of the hutch left of the desk area. 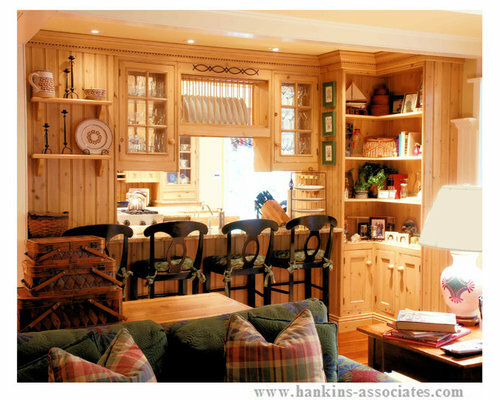 Olde World English pine kitchen. 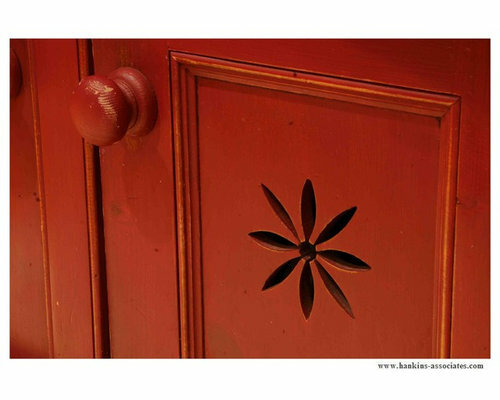 In the red kitchen area, these cut-outs were hand-cut into the sink base doors. 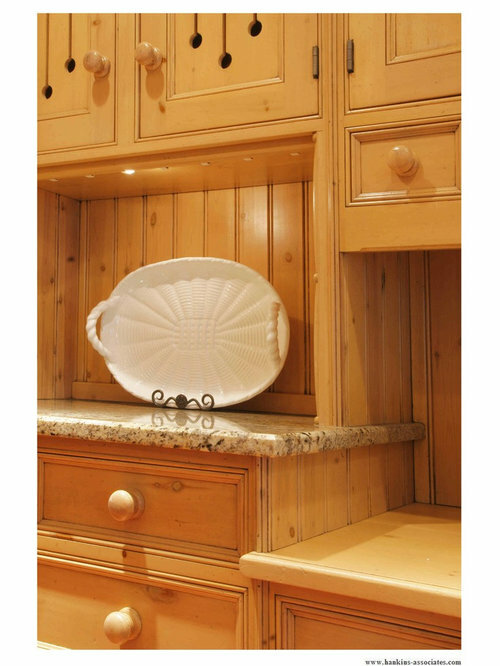 Olde World English pine kitchen. This is the red kitchen area. Seen in the photo is one of two farm sinks, with one of the refrigerators and pantry in the background. Handmade tiles finish the backsplash. Olde World English pine kitchen with waxed pine cupboards around the perimeter in the main kitchen area with a green (distressed) painted island. This is a view from the family room back into the kitchen.